Saytek returns with his first release in two years on the label he calls home, having run Cubism alongside Mark Gwinnett for the best part of a decade. The Infinity Machine EP follows the huge success of his Machine Jams album and Live Sessions EP on the label which were released in 2016 and 2017 respectively. Since then he has gone on to achieve even bigger success releasing his Live Stories album on Darren Emerson's Detone and a slew of EPs on numerous tastemaker labels including the imprints of Carl Cox, Mr.C and Steve Lawler. Winning accolades from Laurent Garnier to Maceo Plex and a growing army of loyal fans with every show and release, Saytek's tracks are created live with analog hardware during improvised performances. The tracks are then recorded and converted to a DJ friendly format. Coming up this year he has been booked to appear with Carl Cox at Creamfields this summer and will be appearing all over Europe with shows in Berlin, Luxembourg, London, Frankfurt, Italy, Warsaw among others. 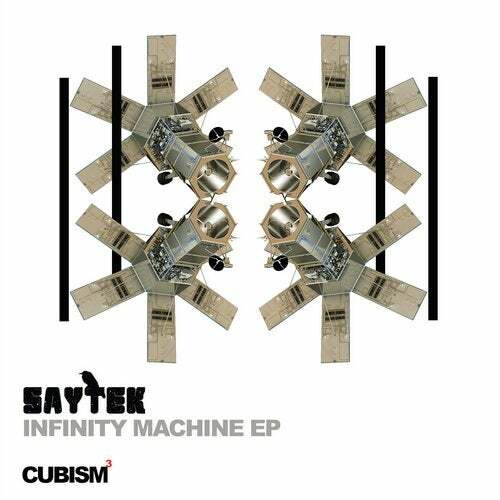 Saytek's Infinity Machine EP offers 3 live tracks with a firm grip on the dance floor but with the depth and melodies we have come to expect from Saytek.